List of Utah County Homes SOLD by Team Teasdale Realty: Springville, Spanish Fork, Mapleton, Provo, Orem, Lehi, Saratoga Springs, Eagle Mountain, Payson, Alpine, Payson, Santaquin, Woodland Hills, Elk Ridge, American Fork, Lindon, Cedar Hills and Highland. American Fork, Utah Short Sale for Sale - SOLD Real Estate! American Fork, Utah Home for Sale - SOLD Real Estate! Eagle Mountain Utah Short Sale - SOLD Real Estate! Search Mapleton Home for Sale - SOLD Real Estate! Short Sale for Sale in Mapleton, UT - SOLD Real Estate! Sliver Leaf Home for Sale in Mapleton - SOLD Real Estate! Mapleton Utah Bank Foreclosure - SOLD Real Estate! Buy a Mapleton Home - SOLD Real Etsate! Mapleton Utah Lot for Sale - SOLD Real Estate! Park Meadows Home for Sale - SOLD Real Estate! Orem Utah Home for Sale - SOLD! Orem Utah Condo for Sale - SOLD! Orem Utah Short Sale - SOLD Short Sale! Payson Utah Home for Sale - SOLD Home! Townhome for Sale in Payson, UT - SOLD Townhome! 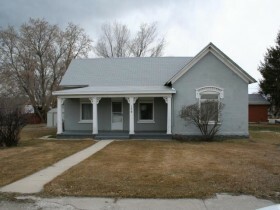 Payson, Utah Bank Foreclosure - SOLD Bank Foreclosure! Payson, UT Condo for Sale - SOLD Condo! Condo for Sale at la Jolla, SOLD! Short Sale Home in Provo for Sale, SOLD! Home for Sale in Provo Utah, SOLD! Home for Sale in Provo, SOLD! Condo for Sale, Spanish Fork - SOLD! Home for Sale, Search Spanish Fork - SOLD! Townhome for Sale, Spanish Fork - SOLD! Whispering Willows Home, Spanish Fork - SOLD! Buy a Spanish Fork Utah Home - SOLD! Fannie Mae Bank Foreclosure, Spanish Fork - SOLD! Harvest Ridge Home, Spanish Fork - SOLD! Home for Sale, Spanish Fork - SOLD! Rambler for Sale, Spanish Fork, SOLD! Spanish Fields Home, Spanish Fork, SOLD! Home for Sale, Spanish Fork, UT - SOLD! Pleasant Grove, Utah Condo for Sale - SOLD! Pleasant Grove, Utah Home for Sale - SOLD! HUD home for Sale in Saratoga Springs - SOLD! Short Sale for Sale in Saratoga Springs - SOLD!